Dr. Kohn-Wood is currently a Professor and Dean of the School of Education and Human Development at the University of Miami (UM). She also serves as the Senior Resident Faculty of Pearson Residential College and is co-Chair of the University’s Standing Committee on Diversity, Equity and Inclusion. Dr. Kohn-Wood received her Ph.D. in Clinical Psychology, from the University of Virginia in 1996 and completed an internship at the University of California, San Francisco Medical School, followed by a post-doctoral fellowship at Georgetown University School of Medicine. She served as an Assistant, then Associate Professor in the Department of Psychology at the University of Michigan from 1999 to 2009. Dr. Kohn-Wood’s research program Race, Ethnicity, Culture and Promotion of Strengths (RECAPS) focuses on race, ethnicity and culture in relation to the experience of psychological phenomena among diverse populations, with an emphasis on race-based protective factors and the promotion of positive coping and mental health among African Americans. 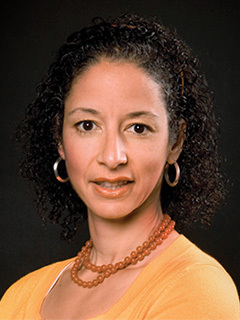 Dr. Kohn-Wood has conducted community-based participatory action research and intervention projects with several community-based organizations in urban areas. She served as the founding director of the Master’s Program in Community & Social Change and, with colleagues, developed the Ph.D. Program in Community Well-Being at the University of Miami.